Summer is peak theme park season, and Florida — one of the world’s greatest destinations for amusement park enthusiasts — is debuting several new attractions across its suite of parks. 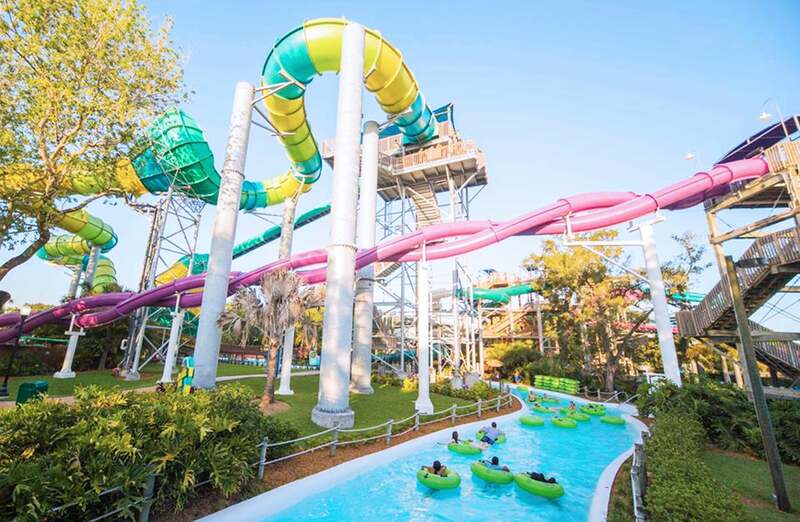 From the world’s longest river drop to free beer, there’s plenty to look forward to at the Sunshine State’s theme parks this summer, even for the most seasoned Disney and Universal aficionado. Consider this the summer of movie madness at Walt Disney World in Orlando, Florida. If marching alongside “Toy Story’s” beloved Sarge and his Green Army Man Drum Corp sounds like your fam’s idea of a good time, you’ll want to get over to the new Toy Story Land at Disney’s Hollywood Studios when it opens on June 30. Designed to look like Andy’s toy-strewn backyard, the debut of this 11-acre land marks the beginning of a multi-year reimagining of Hollywood Studios. Twirl around planets and space stations in Alien Flying Saucers, or hop into the Slinky Dog Dash, a family-style roller coaster that wraps with a visit from Wheezy, the squeaky toy penguin, singing “You’ve Got a Friend in Me” in that unmistakable voice. Refuel as Andy would with an old-fashioned soda float at Woody’s Lunch Box, a new quick-service kiosk. When the sun drops but those Florida temps don’t, cool off with the same Toy Story pals at Typhoon Lagoon during Disney H2O Glow Nights. The nighttime beach party extends the hours of fun you can have on the park’s slides and attractions, but if the lines gets too long, take a dance break at the beach, where a DJ will be spinning kid-friendly tunes. This special ticketed event is scheduled for Thursday and Saturday nights between June 21 and August 11. If shows are your family’s preferred mode of entertainment, you’ll have several newbies to choose from this summer. As part of Disney’s “Incredible Summer” entertainment lineup, Magic Kingdom’s Tomorrowland will morph into the Incredible Tomorrowland Expo featuring the cast of the film “The Incredibles 2,” scheduled for release on June 15. This section of the park will be decked out in, well, “Incredible” décor throughout the season, with dance parties running almost continuously on the Rocket Tower Stage. Over at Epcot, meanwhile, catch Guardians of the Galaxy — Awesome Mix Live! The concert series starring Star-Lord and Gamora from the original film will feature popular tunes from the first two movie soundtracks. Five daily shows are planned for the summer until August 19. And wherever you go throughout the Magic Kingdom, enjoy a bit of a buzz if it suits you. Much to the delight of exhausted parents, all sit-down restaurants are now serving alcohol. 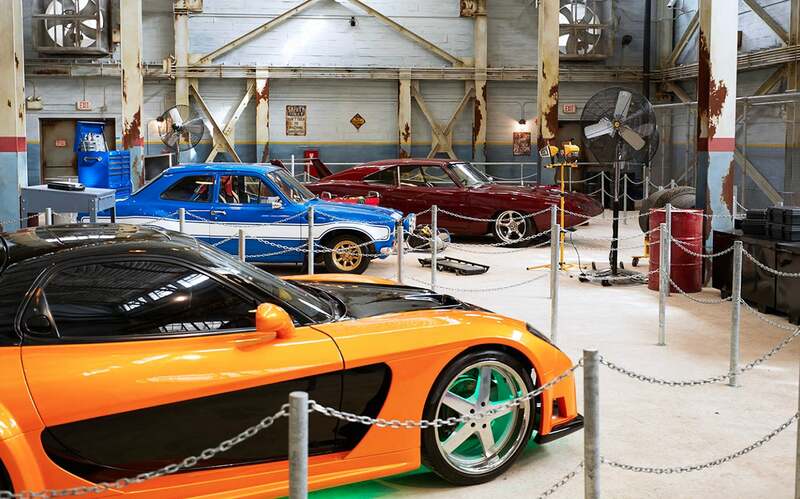 Universal’s big summer debut is the newly opened “Fast & Furious: Supercharged” attraction. If you’re a fan of the movie franchise, you’ll love this experience right from the start. It begins with a walk through a replica of the garage where Vin Diesel’s crew keeps their street-racing cars. The auto eye candy is pretty impressive, thanks to Dennis McCarthy, who designed the series’ iconic cars and was tapped to recreate 15 models for this new attraction. After the car display come two pre-shows, one inside what’s meant to be the break room and another in the war room, before you’ll finally board a party bus (a back lot tram) that ends up in a simulated high-speed chase. One 2D projection on either side of the vehicle coupled with wind and fog give the impression you’re traveling at speeds of 100 miles per hour. Expect plenty of car-flipping and guns blazing in true “Furious” style. Slated to open in August, the Aventura Hotel will be the sixth Universal Orlando resort. Unlike its more thematic siblings, such as the retro-style Cabana Bay Beach Resort and the Mediterranean-influenced Portofino, the Aventura will take a simple, modern and high-tech approach to its design. Expect sleek common areas with plenty of glass and steel and a rooftop lounge with views of all three Universal theme parks and Hogwart’s Castle. Each room will come equipped with a tablet that guests can tap to control everything from the television to room service. You may not earn points by staying at a Universal-affiliated resort, but they sure do sweeten the deal with perks for theme park visitors. Continuing its tidal shift from embattled brand to thrill rides and conservation, the first of two major SeaWorld attractions opened just in time for the busy summer season. At Aquatica, SeaWorld’s official water park, Ray Rush is a new, four-person raft ride that families and friends get to enjoy together. 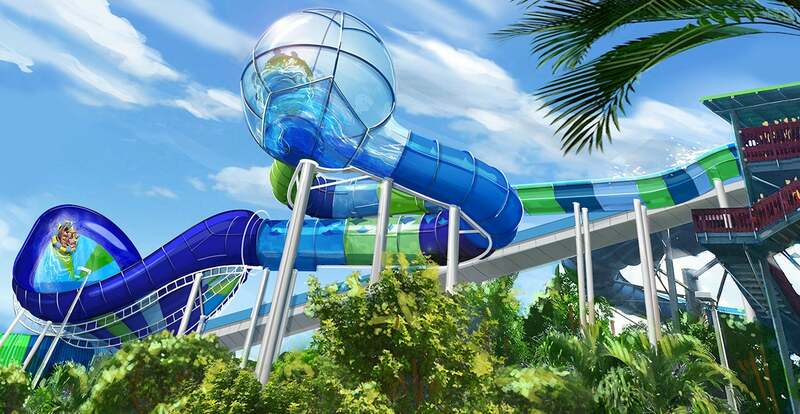 Its three unique slide elements — an enclosed tube, a giant translucent sphere designed to rock rafts back and forth and an open-air half-pipe in the shape of a manta ray — make it a standout among water rides. Jumping on the raft ride trend, Infinity Falls is expected to debut later this summer at SeaWorld’s eponymous park. Designed to make riders feel as if they’re experiencing exhilarating Class IV rapids in a lush rainforest, the ride begins with a vertical elevator that lifts each raft 40 feet before launching it into the water below, making this the world’s tallest river rapid drop. Just outside the ride, the new Infinity Falls village will feature interactive, educational experiences designed to teach guests about freshwater ecosystems and facilitate up-close encounters with animals native to South America. When the sun sets, Electric Ocean takes over SeaWorld. The park’s summer-long entertainment lineup returns this year with a new show, “Touch the Sky.” Expect macaws flying overhead and bottlenose dolphins playing in the water — all of it set to a high-energy musical score. The grand finale to the summer evenings, “Ignite” is the park’s signature fireworks show, which fills the sky above SeaWorld’s main lagoon with shimmering starbursts. Electric Ocean takes place on select nights until September 2. 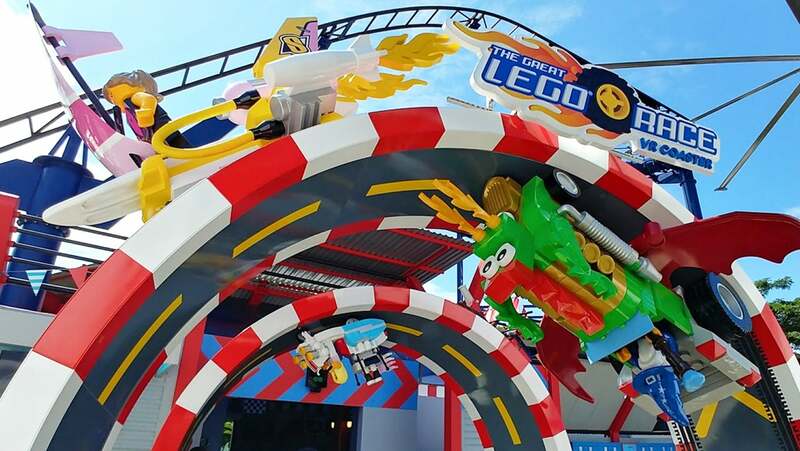 If your kid loves video games — heck, if you love video games — you’ll want to try out the world’s first virtual reality (VR) roller coaster, the Great LEGO Race at Legoland Florida, designed specifically with kids in mind. Instead of stepping into a moving car, you’ll don a VR headset that fully immerses you in a heart-pounding race with popular LEGO mini figures. Summer visitors can also look forward to the new “Star Wars: The Force Awakens” Miniland model, designed by a team of master LEGO builders. Complete with lights, sound effects and animation, it depicts memorable scenes from Episode VII of the film series. For the perfect selfie, go to the center of the display where a Star Destroyer Finalizer made of a whopping 35,000 Lego bricks stands at 16 feet tall. Free beer is back at Busch Gardens Tampa — at least for now. All guests 21 and older can snag two complimentary beers during each visit between until August 5 at the newly minted Garden Gate Café. Beer lovers groaned when the company removed the longtime freebie, so expect plenty of cheers with those beers. For those under 21 (as well as those who simply love a good thrill ride), Busch Garden’s Adventure Island Park has just opened a new free-fall water slide, Vanish Point. Thrill seekers can step into one of two skyboxes and, within seconds, the floor is pulled out from under, sending you plummeting down a 70-foot water slide and whisking you through 425 feet of twisted tubes until you reach the pool below.